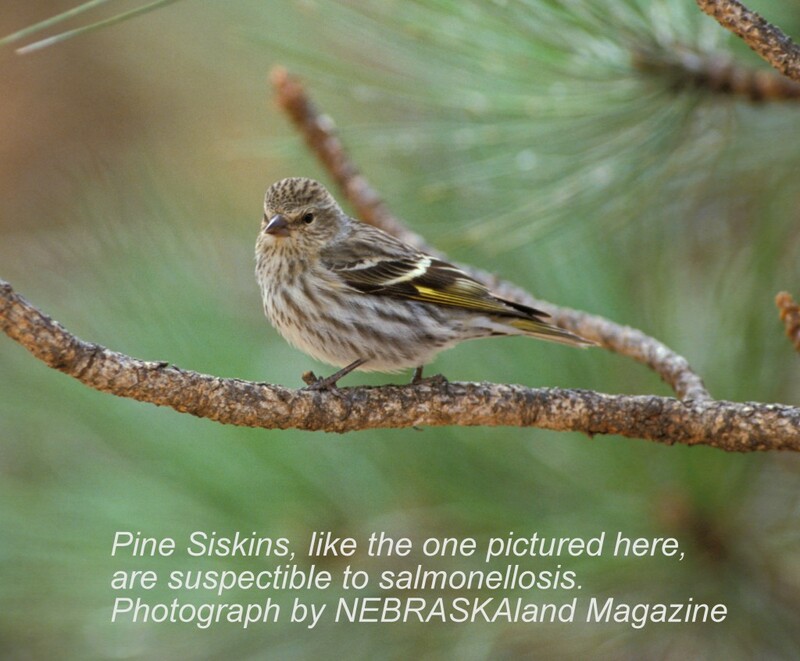 Home » Nongame Bird Blog » Salmonellosis suspected in eastern Nebraska – clean your bird feeders! 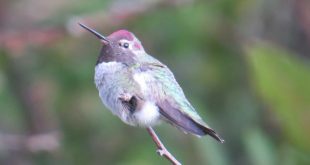 Clean your feeders with warm, soapy water. Disinfect with a 10 percent bleach solution to kill the bacteria. Rinse the feeder and allow it to dry completely before using it again. Disinfect your birdbaths as well. Clean your bird feeding area by washing all structures holding your feeders and raking the ground surrounding the feeders. 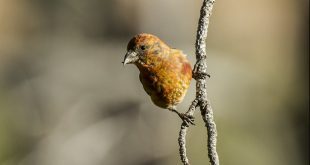 Do not reinstall your feeders for a few weeks. As siskins begin to migrate and cease traveling in flocks, it will be okay to put feeders back up. Whether you have seen signs of salmonellosis or not, it is always a good idea to keep your feeders clean and tidy. Furthermore, if you are cleaning feeders or birdbaths always be wise about your own health, make sure you wash your hands thoroughly after you are done. 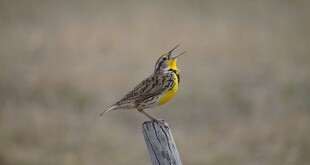 One final note, the National Wildlife Health Center is not requesting carcasses, so any dead birds should be disposed of by placing them in the trash or burying them. Again, be smart, double-bag the bird so you do not come into contact with it and wash your hands thoroughly afterwards. Next Meanwhile, on the Invasive Species Front. . . .